Introduction: To rationalize irrigation development in the state, the Government has decided to provide irrigation facilities to atleast to 35% of the cultivable land in each block. 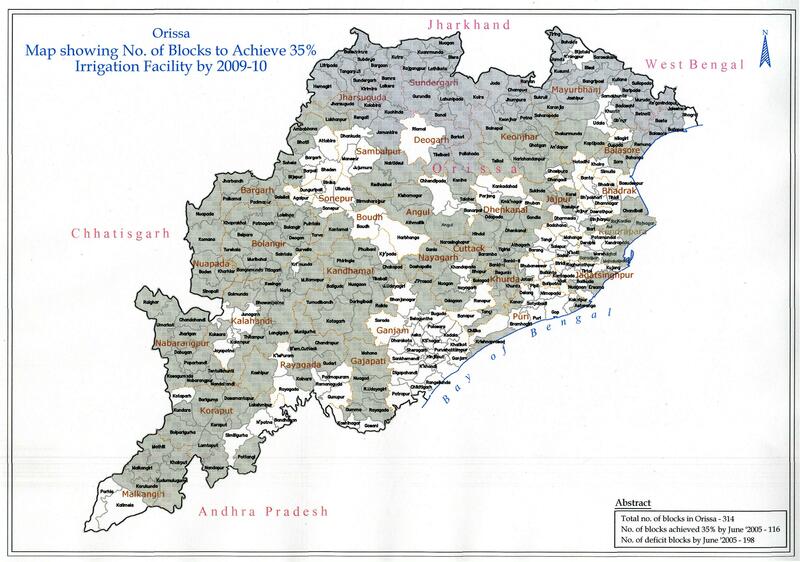 Preliminary scrutiny reveals that irrigation coverage in 198 blocks is less than 35% of the cultivable area. The existing schemes such as AIBP, RIDF, JBIC at State level & RSVY, NREGS, WODC, FFW at district level are being used to achieve the desired objective. Deep Borewell Shollow tube,MRL etc. No. of blocks achieved above 35% by March '2018 is 118* out of 198 blocks. Note: The irrigation potential creation from other sources are being collected from District Level.